With a value CAGR of 4.5%, the n-hexane market is expected to reach US$ 2,967.1 Mn in 2026 from a value of US$ 2,089.0 Mn in 2018. The n-hexane market is pegged to create an incremental $ opportunity worth US$ 878 Mn between 2018 and 2026.
n-Hexane plays a key role in industries as an oil extraction agent. It can also improve yield for a variety of seeds and is easy to recycle, which make it the preferred compound in oil extraction processes. Thus, n-Hexane is anticipated to witness strong demand from the oil extraction industry over the forecast period. Rising population in emerging economics, coupled with the increasing demand for oil, is expected to boost the demand for n-Hexane. Among all regions, Asia-Pacific is a prominent market for n-Hexane. Additionally, n-Hexane has many applications in end use industries such as, cleaning, adhesives & sealants, pharmaceutical, textile etc. Increasing demand of n-hexane from the end-use industries as a result of economic growth, especially in emerging markets such as China and India drives the n-hexane market. The global n-hexane market is estimated to grow 1.4X during the forecast period, owing to the growth of applications such as oil extraction, pharmaceuticals, polymerization and rubber processing. 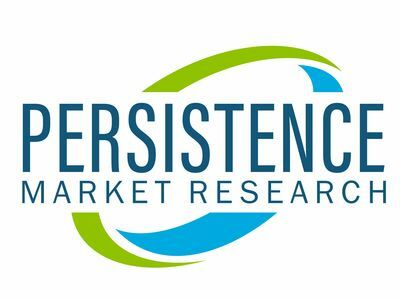 From a geographical perspective, China, followed by North America, is expected to dominate the global n-hexane market over the forecast period. On the basis of incremental $ opportunity, Europe is estimated to account for US$ 178.6 Mn in 2018 and is expected to reach US$ 679.7 Mn by the end of 2026. On the basis of purity, the >90% segment is expected to be a key segment in the market with a value of US$ 1,589.2 Mn in 2018. The segment is anticipated to account for more than three-fourths of the market value share in the n-hexane market during the forecast period. On the basis of growth, the <90% segment is anticipated to grow at a moderate growth rate when compared to then >90% segment in the global n-hexane market during the second half of the forecast period. Among all grade segments, the oil extraction segment is anticipated to be a prominent segment in the global n-hexane market during the forecast period. In terms of volume, the industrial grade segment is expected to hold approximately one-third of the market share in 2018 and remain prominent throughout the forecast period. The incremental $ opportunity created by the industrial grade segment is pegged to be two-thirds of the incremental $ opportunity created by the overall market. On the basis of application, the oil extraction segment is estimated to hold more than half the market share in terms of value and volume. Oil extraction is expected to be a significant segment in the market throughout the forecast period, followed by the polymerization segment. In terms of incremental $ opportunity, the pharmaceuticals application segment is expected to create an incremental $ opportunity worth US$ 64.2 Mn in the global n-hexane market between 2018 and 2026. ExxonMobil Corporation, Royal Dutch Shell PLC, ndian Oil Corp. Ltd, Chevron Phillips Chemical Company LLC, Bharat Petroleum Corp. Ltd, Rompetrol Rafinare S.A., Hindustan Petroleum Corporation Limited, Dongying Liangxin petrochemical company, Liaoning Yufeng Chemical Co., Ltd., DHC Solvent Chemie GmbH and Sak Chaisidhi Company Limited are some of the key participants covered in this study on the n-Hexane market.